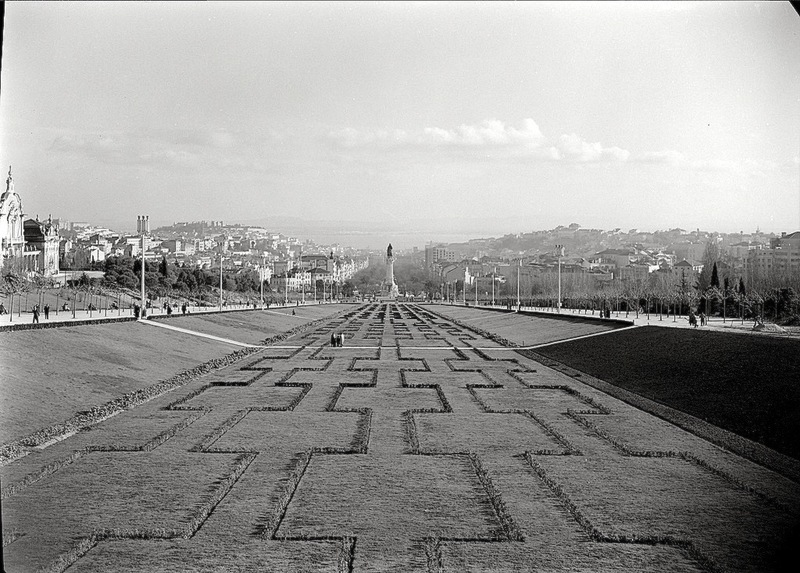 Parque Eduardo VII, Lisbon, Portugal, between 1942 and 1983, by Estúdio Mário Novais, via Art Library of the Calouste Gulbenkian Foundation Commons on flickr (under CC license). The boxwood parterres are the same today. Originally created in the late 19th century, the park was named for British King Edward VII after his visit to the city in 1903. Its current layout was designed in 1942 by modernist architect Francisco Keil do Amaral.